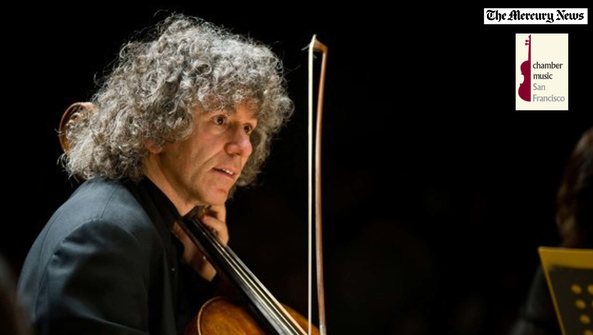 Chamber Music San Francisco is bringing cellist Steven Isserlis to the Bay Area for recitals in Walnut Creek, San Francisco and Palo Alto. Valentine's Day has come and gone, but Steven Isserlis is still thinking about romance. The great British cellist arrives in the Bay Area this week with a program exploring the links between love and music. "Composers and their Muses" features Isserlis and pianist Connie Shih performing works by three musical couples: Robert and Clara Schumann, Bohuslav Martinu and Vitezslava Kapralova, Cesar Franck and Augusta Holmes. Presented by Chamber Music San Francisco, performances are March 2-4 in Walnut Creek, San Francisco and Palo Alto. 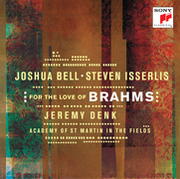 Violinist Joshua Bell and cellist Steven Isserlis join pianist Jeremy Denk and the Academy of St Martin in the Fields, in a landmark recording - 'For the Love of Brahms' on Sony Classical. Available September 30, 2016, the new album is a unique project that features works of Brahms and Schumann that Bell calls "music about love and friendship." A personal, deeply affectionate impulse frequently sparked the music of Johannes Brahms and his mentor, Robert Schumann – often including their mutual friend, the violinist and composer Joseph Joachim. It clearly drove all three works on For the Love of Brahms.